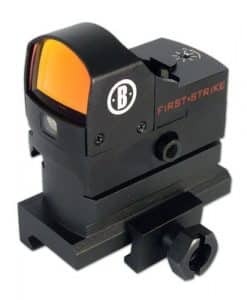 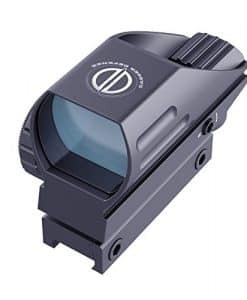 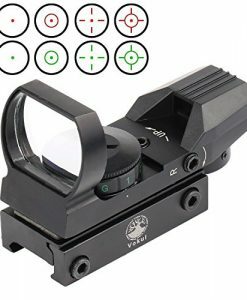 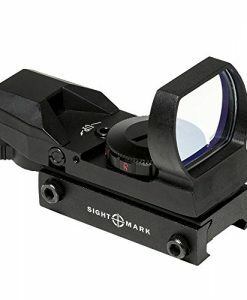 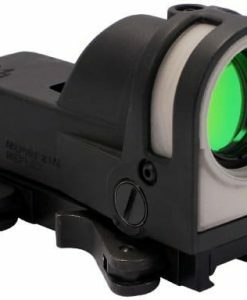 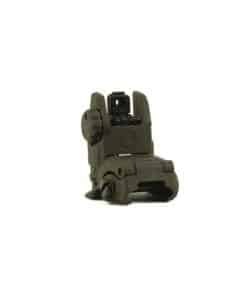 Operating principle: Reflex Collimator sight with LED Optical magnification: 1x Aiming dot size: 2 MOA Dot intensity: Visible against a background luminance of 0,1 to 55 000 lx Optical signature: No optical signature is visible at 10 meter distance, front side, on appropriate settings with NVD 3 Dot color: Peak Wavelength: 650 ± 10 nm NVD compatible: Yes Optical coating: Anti-reflex, all surfaces and multi-layer. 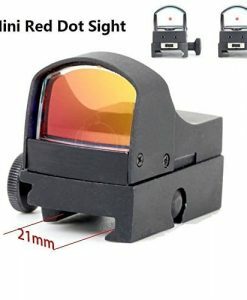 NVD-Compatible 1, 2, 3 Clear aperture: 26 mm Eye relief: Unlimited Battery type: 3V lithium battery, type 2L76 or DL1/3N. 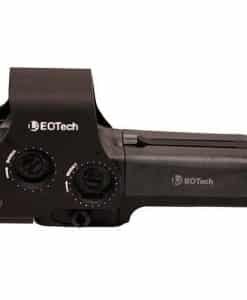 Battery life – Day time use: 30 000 h continuous (pos. 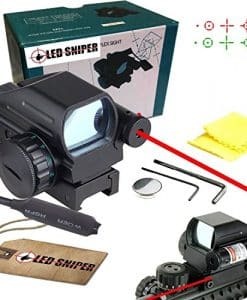 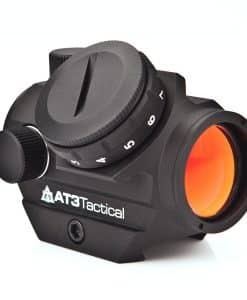 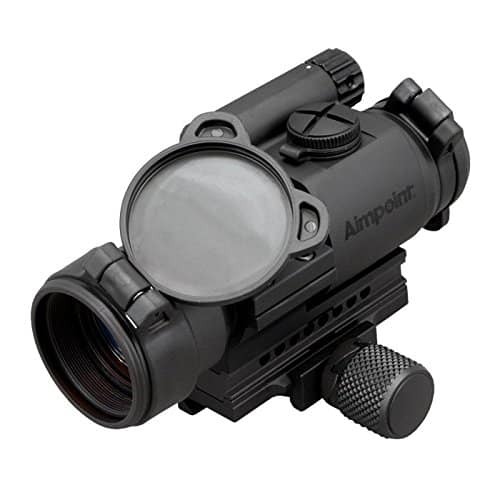 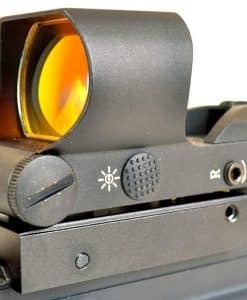 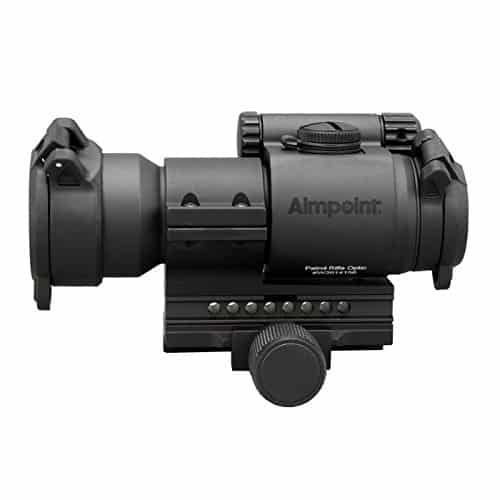 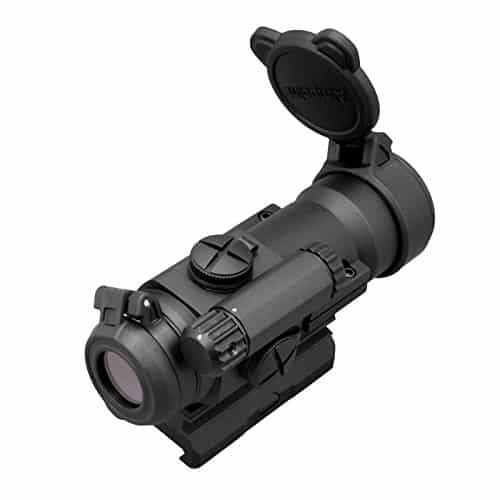 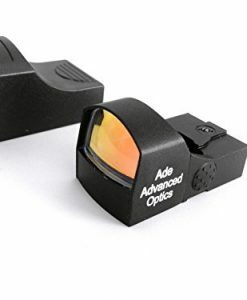 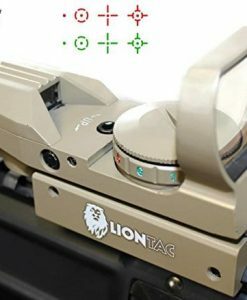 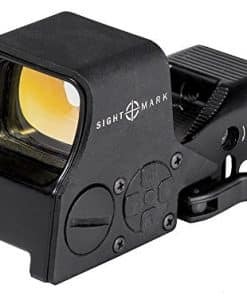 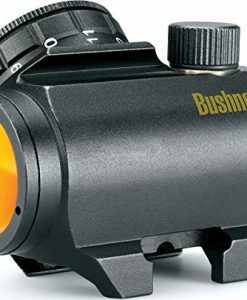 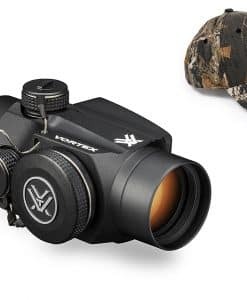 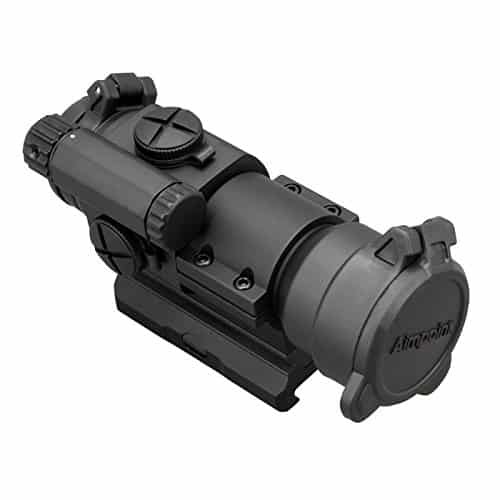 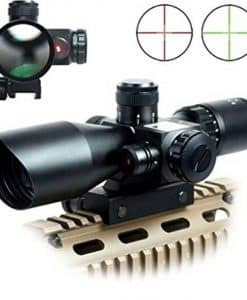 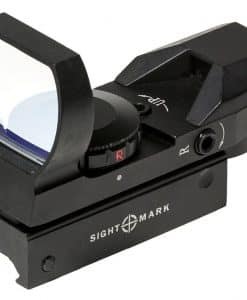 7 of 10) Power intensity: 4 NVD and 6 Daylight, of which 1 extra bright Length sight only: 115 mm (4 1/2″) Length conf: 130 mm (5 1/8″) Width: 55 mm (2 3/16″) Height sight only: 55 mm (2 3/16″) Height conf: 67 mm (2 5/8″) Weight sight only (incl battery): 220 g (7,8 oz) Weight conf: 330 g (11,6 oz) incl. 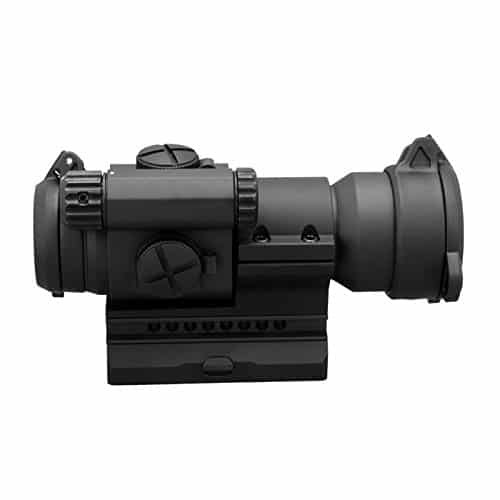 Lens Covers, Mount, and Spacer Housing material: High Strength Aluminum Housing finish and color: Matte black Material mount and spacer std conf: High Strength Aluminum Surface treatment: Hard anodized, matte Height of optical axis – sight and mount: 30 mm (1 3/16″) over top surface of Picatinny/Weaver Rail Height of optical axis – sight, mount and low spacer: 39 mm (1 9/16″) over top surface of Picatinny/Weaver Rail Adjustment: Range ±1 m at 100 meters (±1 yds at 100 yds) in windage and elevation, 1 click = 13 mm at 100 meters = 10 mm at 80 meters = 7/16″ at 100 yds Temperature range operation: -45°C to 71°C (-49°F to 160°F) Temperature range storage: -51°C to 71°C (-60°F to 160°F) Temperature shock: Operable after a temperature shock between -45°C and +71°C. 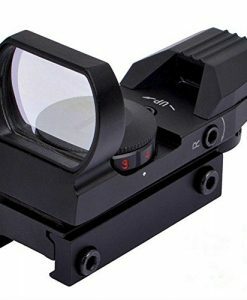 Duration: 4h of Hot +71°C, 4h of Cold -45°C. 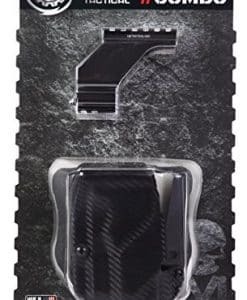 Cycling: 3 times Humidity: Operates despite humidity. 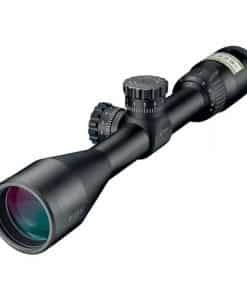 Limits: RH: 95%, Temp: 20ºC to 50 ºC, cyclic Immersion, static: Operates after immersion until temperature is stabilized + 10°C compared to the water.